Eczema is commonly misspelled as exzema hence the reason for the two different spellings. So no matter how it is being spelled this page can be found. Now, lets get down to business... This annoying and painful but common skin condition affects approximately 15 percent of the population. Eczema (exzema) causes areas of the skin to become inflamed, dry, flaky, red and very itchy. Appearing as tiny blisters under the skin. At times becoming moist, even oozing and eventually crusting over. What causes an eczema breakout? One of the first things a doctor tells you to do is stop using common soap, to use a gentler cleanser. This is a key tip for anyone suffering from any type of skin ailment. 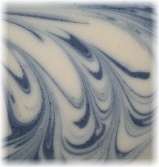 A 100% handmade natural soap is a much gentler cleanser and can make an incredible difference almost immediately. Due to the fact that natural soaps are free of anything artificial, which in many cases are what causes and or ads to these skin ailments. A natural eczema treatment can bring significant relief to those who suffer from this troublesome condition, no matter what age. Mother Nature has provided us with Shea Butter, Evening Primrose Oil, Neem Oil, Vitamin E, Calendula, Chickweed, Marshmallow Root, St Johns Wort, Lavender, Geranium and Patchouli, all of which are known to be helpful in the treatment of eczema (exzema).